You’ve heard of these words often enough, but did you actually understand? Virus, Spyware, Trojan, Worms, Malware and other words that will scare you on what they might do to your precious desktop or laptop. Some are minor nuisance while some are so deadly that it would wipe away your files in one swoop. 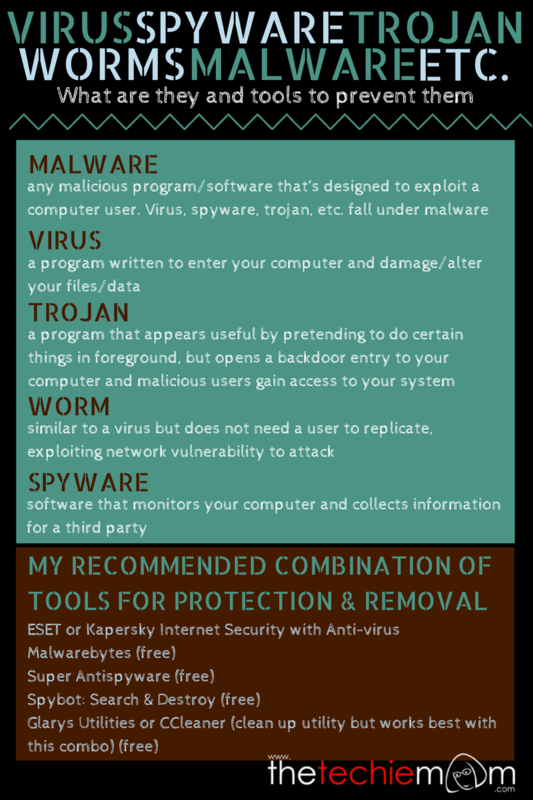 This infographic can help you understand these terms and help you prevent them from infecting your computer.